I constantly warn about weekend event risk and holiday weekends are sometimes a problem. Futures were positive on Monday evening after being up strongly on Sunday night. It appeared we were going to get through the weekend without any material problems. The political turmoil in Spain and the resurgence of tariff issues with China, caught everyone by surprise. The problem in Spain should be quickly ignored. U.S. investors have a very short memory for anything economic or political in other countries. They may react to a sharp change bond rates but the damage should be short lived. The flight to quality on Tuesday was amazing. The yield on the ten-year fell -5.56% to erase more than three weeks of gains. 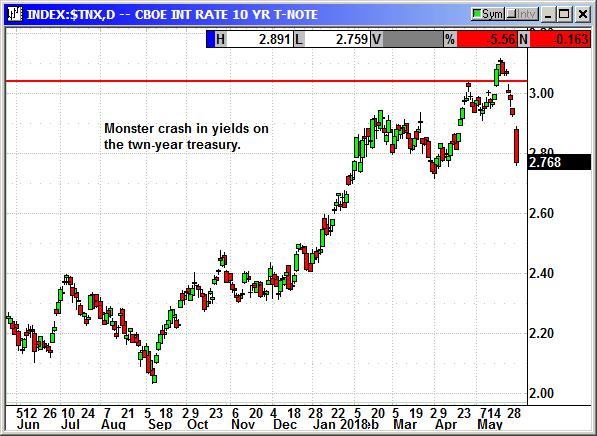 The race to safety caused a major short squeeze in treasuries. The problem with China and trade tariffs may not be fixed for months. We are likely to bouncing around from positive headline to negative headline in the weeks ahead. Nobody knows where this is headed because of the president's unique negotiating style. The market will eventually get over it because there will not be a major trade war with China. These are just negotiating ploys and they will fade. This is payroll week and the various payroll numbers should distract investors from the geopolitical headlines. 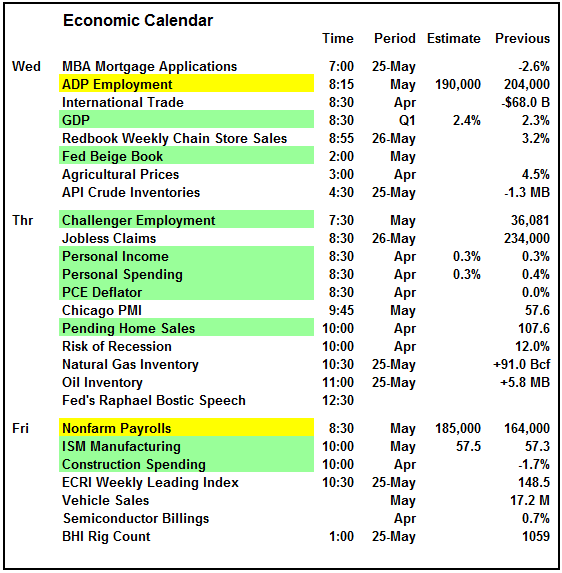 The ADP Employment, GDP and Beige Book on Wednesday is a busy calendar of important reports. This is followed up by the Nonfarm Payrolls on Friday along with the manufacturing ISM. Unfortunately, the earnings calendar has very few reports to distract investors from the geopolitical headlines. This week is the end of the Q1 cycle. 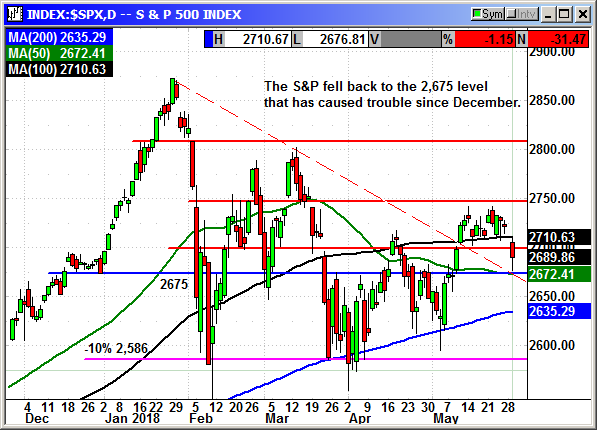 The S&P fell back to the 2,675 level that has caused trouble since December. The 50-day average at 2,672 is also in play. The dip broke below the support of the 100-day and that should now be resistance. The chart remains bearish until the index moves over 2,750 and eventually 2,800. The Dow had a rough day with more than a 500-point drop intraday. There was a spurt of buying at the close that was probably short covering and bargain hunting. Boeing, Caterpillar, 3M and other targets for tariff retaliation were weak. Banks crashed because of the drop in yields and the concerns over a meltdown in Spain and eventually the EU. 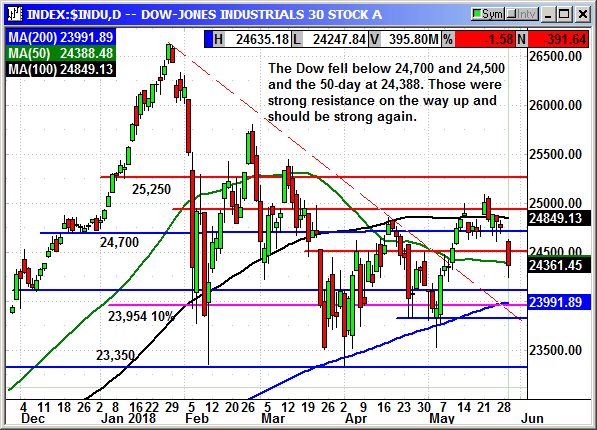 The Dow closed below 24,700, 24,500 and the 50-day at 24,388. These were all resistance on the way up and will probably be resistance on the next rebound. 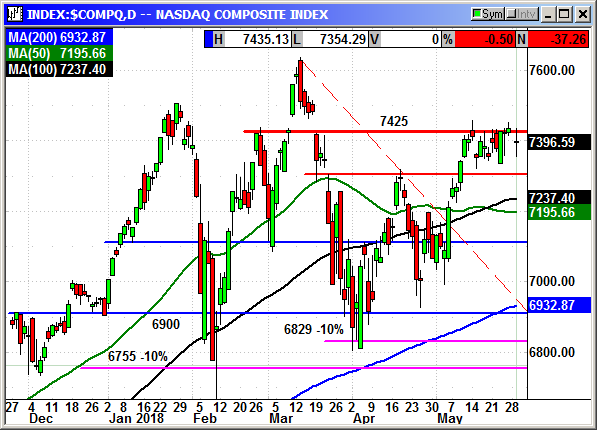 The Nasdaq is still struggling with the resistance at 7,425. When the Nasdaq futures were positive on Sunday and Monday evenings I expected the index to breakout and trigger some strong short covering. Instead, the overseas events combined to knock it badk to 7,354 intraday. The rebound was decent and the index only gave back 37points. That is far better than the nearly 80 point intraday drop. The tech index is being supported by the chip sector with many of the chip stocks closing positive on the day. The Russell was the big winner today. The index only lost 3 points in an ugly market. 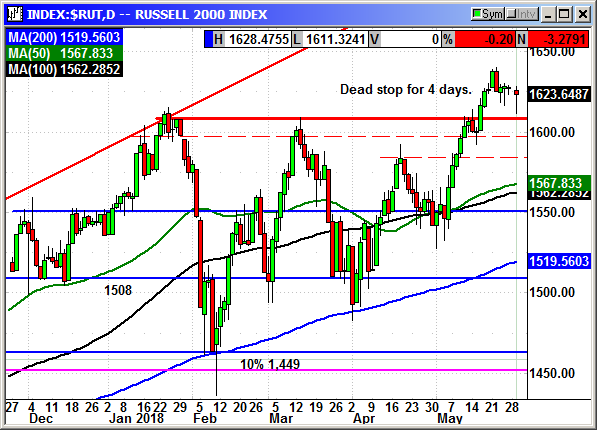 The Russell has closed within a 5-point range for the last 4 days. It is not giving back its gains and remains a favorite for investors trying to avoid the tariff crisis. I would remain cautious about entering the market this week. We are in that period where investors are asking themselves "why buy" ahead of the summer doldrums and the low volume. With the political scene changing daily and geopolitical issues churning, it is probably best to remain in cash and look for a potential buying opportunity in the weeks ahead. Buy Oct $30 call, currently $1.80, initial stop loss $25.25. 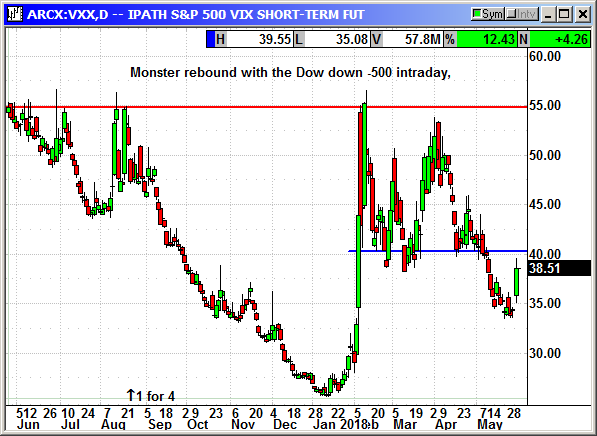 The long call position was entered on Tuesday, stopped on Friday. The long call position was stopped at $155.00. The long call position was stopped at $123.50. No specific news but Akamai is receiving a lot of positive comments from analysts. Shares declined only 69 cents in a really ugly market on Tuesday. 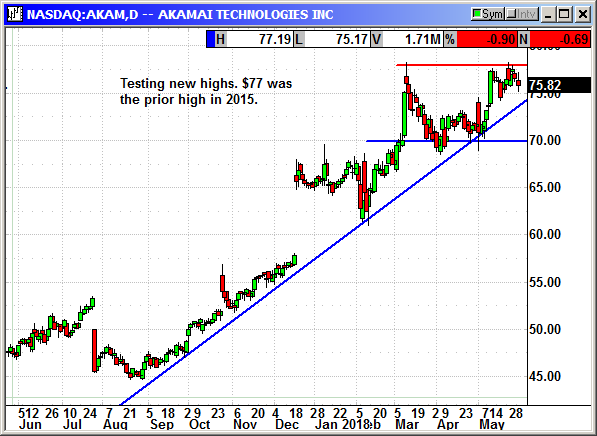 Akamai reported earnings of 79 cents that beat estimates for 70 cents. Revenue of $669 million rose 11% and beat estimates for $657 million. The earnings beat came from a concentrated push into cloud security along with a surge in its media delivery business. Revenue in the booming cloud security business surged 36%. They did not provide guidance but with the cloud business booming shares should continue moving higher. Shares have been consolidating for the last two months and now that earnings were positive shares are starting to move higher again. Monday's close was a 6-week high. Update 5/14: Major gain for the week after the CEO and Founder, Tom Leighton answered an acquisition question positively. An analyst asked him if the company was for sale and he said, "We are a public company and our board, which is very professional and diligent, is always going to do the right thing for shareholders." That suggests if they are not considering any offers today, they will more than likely be receiving some in the near future. Shares exploded higher. Update 5/21: Shares spiked $1.50 in afterhours when Akamai announced a partnership with MUFG (MUFG) to develop a blockchain payment network that could handle one million transactions per second and be operational in early 2020 or before. Akamai has the scope and the horsepower to make it happen. 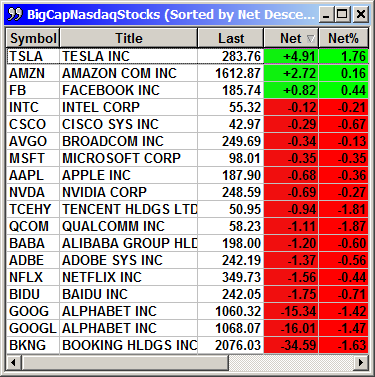 Long August $75 call @ $4.30, see portfolio graphic for stop loss. 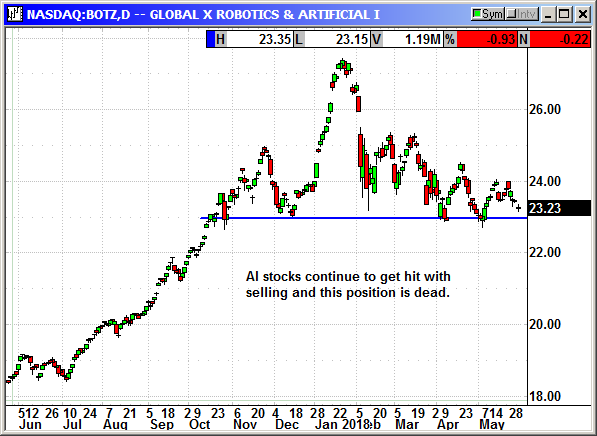 The decline in AI stocks over the last week have knocked BOTZ back to support and well away from our $26 strike price. This position has three weeks until expiration but I fear it is dead. I am dropping it from coverage but I would not close it at 3 cents. Lightning does strike from time to time. 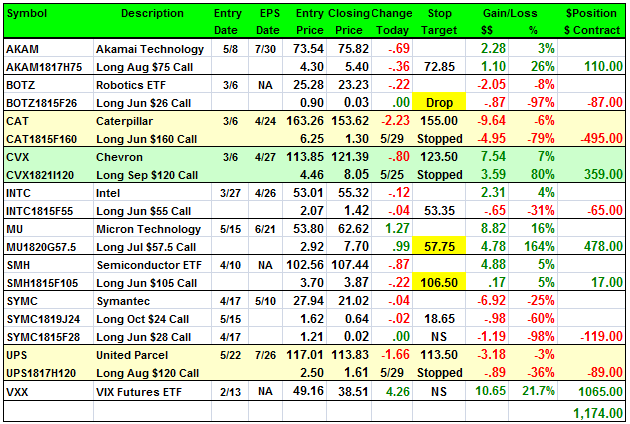 Dropping: Long June $26 call @ $.90, likely to expire, -.90 loss. No specific news. The combination of the CEO comments and worries over retaliation tariffs from China combined to kill this position. We were stopped at $155. 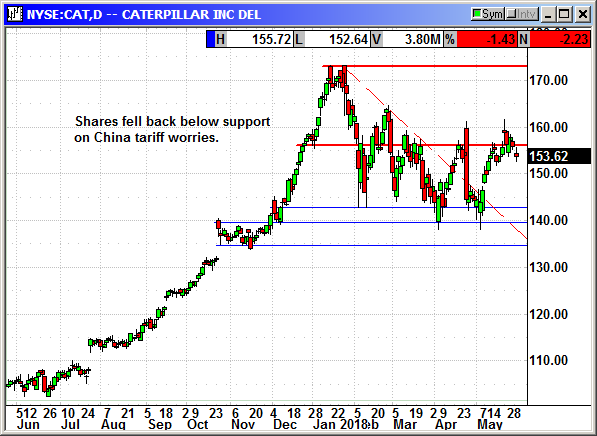 Update 4/30: Caterpillar was the poster child for blowout earnings and investing their cash in the business. The yellow metal maker reported earnings of $2.82 that rose 120% on a 31% rise in revenue to $12.86 billion and they raised guidance. Analysts were expecting $2.11 and $11.58 billion. Everything was great with the stock spiking 4.5% on the news. Unfortunately, on the conference call the CEO said "operating margins would be lower for the rest of 2018 because of targeted investments to continue expanding their offerings and services, consistent with our strategy for long term growth." Investors should have been cheering. Instead, shares immediately crashed from the $161 high to close at $144. I am sure the CEO meant well but his case of foot in mouth disease cost his shareholders $10 billion in lost market cap. Shares are holding at support at $143. Closed 5/29: Long June $160 call @ $6.25, exit $1.30, -4.95 loss. No specific news. Shares crashed $10 on the $6 drop in oil prices. We were stopped out at $123.50. Chevron probably has more new production in the pipeline than any other U.S. company. Most of that production is gas with two monster projects in Australia. The Gorgon project is a $54 billion LNG facility with the export capability of 15.6 million tons per annum (MTPA)(2.184 Bcf/d) of LNG to Asian markets. Demand for gas to Asia is expected to double by 2025. The fields feeding this LNG plant have more than 40 Tcf of gas with new discoveries every month. The $29 billion Wheatstone project consists of two LNG trains with a combined capacity of 8.9 MTPA (1.25 Bcf/d) with the option to expand to 25 MTPA (3.5 Bcf/d). The first LNG output was in 2016. More than 80% of the gas supplied to Wheatstone will come from Chevron fields. Another 20% will come from an Apache find in the same region. Chevron has made 21 major discoveries of gas in the region since 2009. The initial discovery was 9 Tcf of gas but more is being added every month. They have been planning/building these facilities for the last 10 years and all the capex expenses are behind them. Now that production is well underway they are producing cash flow rather than burning cash flow. In the last ten years Chevron has added 13 billion barrels of oil reserves. Chevron said it replaced 161% of what it produced in 2017. They added four barrels of oil for every barrel produced and 6 cubic feet of gas for every one produced. They touted their 1.7 million acres in the Permian as their future production capability. They drilled 310 Permian wells in 2017 compared to 201 in 2016. They have been in the Permian for so long that they pay very little or even zero royalties for their acreage. Chevron reported Q4 earnings of 73 cents that missed estimates for $1.27. Revenue of $37.62 billion just barely beat estimates for $37.55 billion. They did report a new discovery in the Gulf of Mexico that should be a gusher 7-9 years from now. That is a very long lead time project. Chevron currently pays a $1.12 quarterly dividend. With the rising cash flows from the LNG facilities, shale reserves in the Permian and offshore production, their dividend is secure. 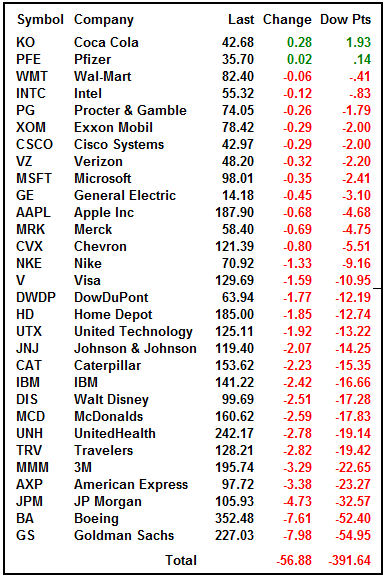 The monster drop in January is a buying opportunity. Bank of America upgraded them last week from neutral to buy. Crude prices are normally weak in March/April but rebound sharply in May as the summer driving season begins. Prices typically peak in August. I am recommending we buy the September call and ride it into that August peak. Update 3/26/18: The Chevron CEO said deepwater oil is coming back thanks to new technologies that pump the oil for miles underwater to existing topside platforms rather than building new platforms for each new discovery. Chevron is currently bringing online the 170,000 bpd Jack/St Malo with a distributed well system. Transocean's CEO saif all but a handful of the current 29 deepwater projects have breakeven costs in the low $40 a barrel range. This is great because Chevron has a lot of reserves they have not even started to develop. Update 4/16/18: Chevron approved a $5 1 billion expansion of the $54 billion Gorgon LNG project in Australia. They will drill 11 more wells in the offshore gas fields that feed the Gorgon facility. With priced rising for LNG, Chevron is in the right place at the right time. The original $54 billion has already been spent and thesteadily increasing production is going to be a well deserved windfall in the years ahead. 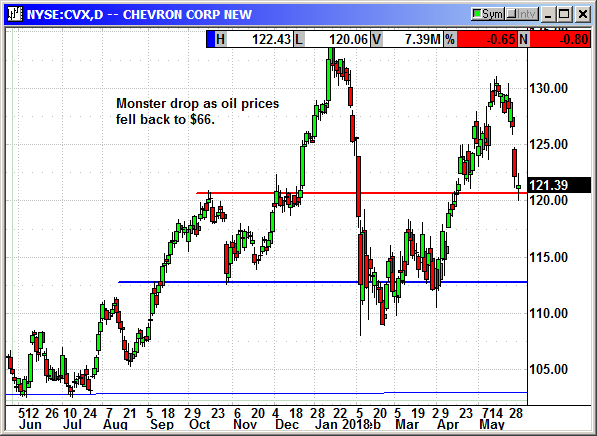 Update 4/30/18: Chevron reported earnings of $1.90 that blew away estimates for $1.48. However, revenue of $37.76 billion missed estimates for $40.97 billion. Production rose 7% to 2.9 million Boepd. Shares spiked to a three-month high on the news. Closed 5/29: Long Sept $120 call @ $4.46, exit $8.05, +$3.59 gain. No specific news. Despite the market drop Intel is only 12 cents from a new high. Intel Corporation designs, manufactures, and sells computer, networking, and communications platforms worldwide. The company operates through Client Computing Group, Data Center Group, Internet of Things Group, Non-Volatile Memory Solutions Group, Intel Security Group, Programmable Solutions Group, and All Other segments. Its platforms are used in notebooks, 2 in 1 systems, desktops, servers, tablets, smartphones, wireless and wired connectivity products, and mobile communication components; enterprise, cloud, and communication infrastructure; and retail, transportation, industrial, video, buildings, and other market segments. The company offers microprocessors that processes system data and controls other devices in the system; chipsets, which send data between the microprocessor and input, display, and storage devices, such as keyboard, mouse, monitor, hard drive or solid-state drive, and optical disc drives; and system-on-chip and multichip packaging products that integrate its central processing units with other system components onto a single chip. It also offers NAND flash memory products primarily used in solid-state drives; security software products that secure computers, mobile devices, and networks; programmable semiconductors and related products for communications, data center, industrial, military, and automotive market segments. In addition, the company develops computer vision and machine learning-based sensing products, mapping and driving policy technology solutions for advanced driver assistance systems, and autonomous driving technologies. It serves original equipment manufacturers, original design manufacturers, cloud and communications service providers, and industrial, communications, and automotive equipment manufacturers. The company was founded in 1968 and is based in Santa Clara, California. Company description from FinViz.com. 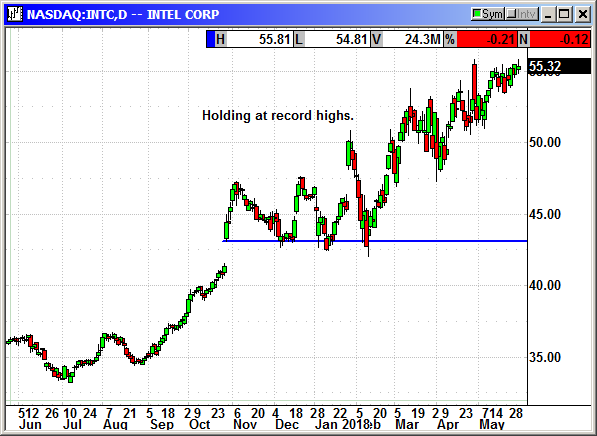 Intel has shows excellent relative strength over the last couple weeks of market volatility. Monday's close was a new high and there is nothing to keep it from moving higher. Long term support is $43 but I seriously doubt we will see that again. Intel does not need a lot of play description. It is a big cap tech stock in a chip driven world. Update 4/16: Consumer tests of the new Windows notebooks with the Qualcomm Snapdragon processor have gone badly. The notebooks have the same processor as the Samsung Galaxy S8 phone. That should give you a clue as to notebook performance. It does not run 64 bit applications. Suffice to say Intel is not going to lose a lot of business to Qualcomm. Update 4/30: Intel spiked to a new high after reporting earnings of 87 cents that beat estimates for 72 cents. Revenue of $16.07 billion beat estimates for $16.3 billion. Data center revenue rose 24% to $5.2 billion. They guided for full year earnings of $3.85 and revenue of $67.5 billion. Shares spiked 6.4% but faded in the weak market. Update 5/7: Late after the bell today, Qualcomm said it was shutting down its datacenter chip effort and would either shutter the unit or attempt to sell it. Qualcomm just started selling its first server chip, the Centriq 2400 last year and customer acceptance has been lacking. Intel has a 99% market share in the server chip market and releases new higher end chips constantly and for Qualcomm to try and keep up using the limited ARM chip, it would have been an expensive and time-consuming battle. This should give Intel a boost on Tuesday. Long June $55 call @ $2.07, see portfolio graphic for stop loss. No specific news. Shares set a new 18 year high in a really bad market. Micron suffered in the chip decline as investors worried over Apple's declining iPhone sales rumors. As soon as Apple reported the stock began to recover and it has returned to resistance and could be poised for a breakout. The reported earnings of $2.80 and beat estimates for $2.69 but missed the whisper number of $2.81. Revenue of $7.3 billion also beat estimates. They posted $12 billion for all of 2016 and $20 billion for 2017. The company is getting out of memory technologies that have run their course and are poised to become a pure commodity. The new CEO Sanjay Mehrotra built Sandisk before selling it to Western Digital. He is rapidly expanding Micron's production in new product lines. The company has $8 billion in cash and long-term debt is only $7 billion. The company is trading at a PE of only 5.9. That is the same level as Ford. I am pretty sure everyone understands that every electronic product built today has memory, and those amounts are growing. The IoT devices are growing by millions every month. Resistance is $53.50 and a break over that level should trigger some short covering. 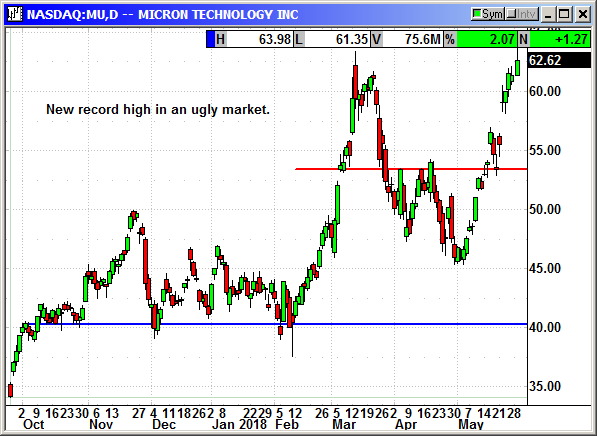 There is no reason why Micron could not make a new high in the coming months, market permitting. Update 5/21: Micron raised Q2 guidance at the open from $2.76-$2.90 to $3.12-$3.15 and revenue rose from $7.2-$7.6 billion to $7.7-$7.8 billion. After the bell the company said it was going to buy back $10 billion in stock of roughly 16% of the company at today's closing price. Shares are going higher. Long July $57.50 call @ $2.92, see portfolio graphic for stop loss. The sector continued to rebound but the gains are slowing. 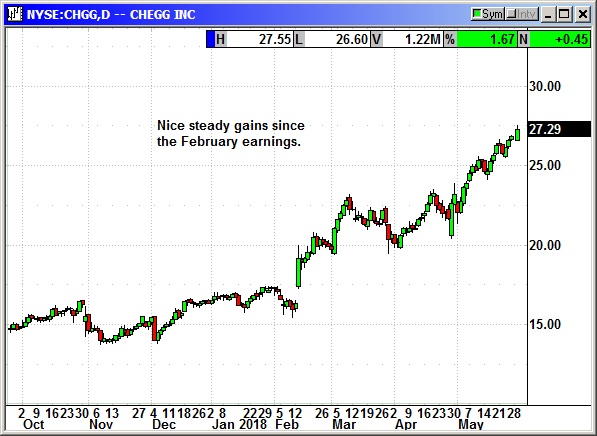 Shares are back to the January resistance highs. 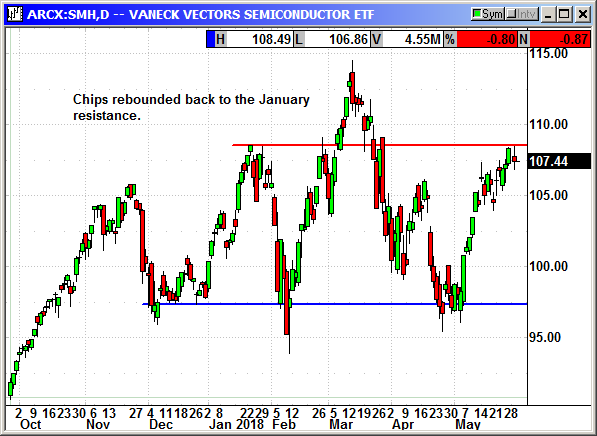 VanEck Vectors Semiconductor ETF (SMH) seeks to replicate as closely as possible, before fees and expenses, the price and yield performance of the MVIS US Listed Semiconductor 25 Index (MVSMHTR), which is intended to track the overall performance of companies involved in semiconductor production and equipment. ETF description from VanEck.com. The chip sector peaked in early March with the SMH at $114.50 and it has since declined to $100. The world runs on chips. The sector has been crushed by several analysts calling for an end to the shortage of memory chips although the actual companies claim demand remains strong. The sector also fell last week on worries about tariffs on chips coming out of China. With President Xi Jinping putting an end to the tariff worries on Tuesday after the bell, the chip stocks should return to rally mode. The world runs on chips and with IoT devices expected to grow by the tens of billions and AI becoming a potential blockbuster technology, the demand for chips will continue to grow. The SMH closed at $100 with the 200-day average at $97. If we do not get a rally on Tuesday, support is only $3 away. Long June $105 call @ $3.70, see portfolio graphic for stop loss. 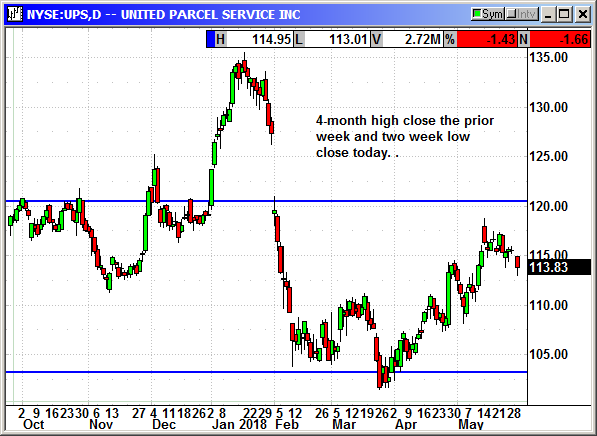 The rebound stalled and the June position is likely to expire. We added an October call just in case this happened. Symantec has gotten a bad rap over the last year and it was undeserved. They make the best consumer antivirus software available for a reasonable price. You are living in a fantasy land if you don't believe that cyber attacks are going to continue to skyrocket. Hijacking cryptocurrencies rose significantly in 2017. Ransomware continues to grow in popularity and severity. Cryptojacking, where your computer is hacked and forced to run coin mining programs to mine coins for others, is also exploding with an 8,500% rise in 2017. Even Tesla's computers were cryptojacked and used for coin mining. Symantec announced a new AI process on Monday that will allow subscribers to automate the discovery of targeted attacks. The program is called Targeted Attack Analytics. Targeted attacks are rarely accomplished with brute force but are done skillfully utilizing known holes in the system firewall. They are normally disguised as a brute force attack in order to hide in the mountain of daily alerts received by system managers. TAA identifies these attacks before they can get inside the system and then alerts the network so that millions of other machines are protected in advance. The Symantec team discovered Stuxnet, Regin, Lazarus, Swift and WannaCry among thousands of other viruses. 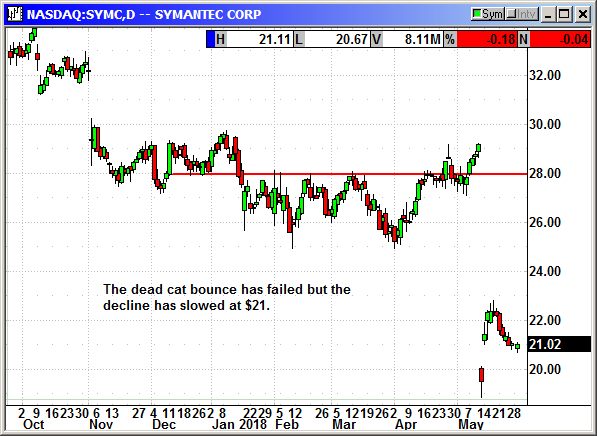 Update 5/14: Symantec was a major disaster last week. Fortunately, the option was cheap. They posted mediocre guidance and disclosed an internal audit. The stock fell -35%. On Monday the company held an investor call and gave some more details saying it would not likely impact past earnings. There were fears there would be a restatement. The company also firmed up revenue and margin forecasts for 2019 and 2020. Shares rebounded 10% on the news. I am going to recommend we add a longer dated option because this dip will more than likely be recovered over the next couple months. Since the company said it would not impact past earnings, this is a buying opportunity. We will not hold the position until October but the July strikes are too close to retain any earnings premium. Long June $28 call @ $1.21, see portfolio graphic for stop loss. Long Oct $24 call @ $1.62, see portfolio graphic for stop loss. Worries that the new Amazon Flex, crowd sourced delivery model, will impact UPS caused the dtock to decline sharply and stopped us out. Multiple analysts said it will have no impact but investors sold anyway. Does anyone believe shipping rates are not going to rise especially for Amazon. Hardly a week goes by that President Trump does not rail against Amazon and the cheap rates at the postal service. In just the last couple of days he told the USPS director to double the rates charged on packages for Amazon and all the other online shippers. The director calmly told him again that there are contracts in place and the rates cannot be changed until the term is up, which is in October. You know UPS and FedEx are really hoping the USPS jacks up the prices significantly to keep the president happy. Shares of UPS are moving slowly higher. The rising price of oil is the cloud over the transportation sector. However, the shipping companies have fuel adjustment clauses and as fuel rises, so do rates. For Q1 the company reported earnings of $1.55 that beat estimates by a penny. They reported a 10% rise in revenue to $10.23 billion and beat estimates for $10.13 billion. They guided for 2018 earnings of $7.03-$7.37 and analysts were expecting $7.25. They were not blowout earnings but they were decent and beat the overly aggressive estimates. Shares closed at a 4-month high on Monday but they are still $17 below the January high. They have plenty of room to run. 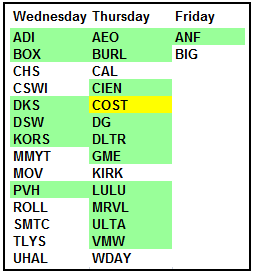 Closed 5/29: Long Aug $120 Call @ $2.50, exit $1.61, -.89 loss. Volatility spiked significantly when the Dow was down -500 points intraday. Hopefully this is just temporary. The VXX always moves lower eventually.